Governor-elect Eric Greitens chose Anne Precythe to be the next director of the Department of Corrections. She’s from North Carolina. See it here. Greitens made the announcement on Facebook, and the comments are very interesting. See them here. Many are from folks claiming to be corrections employees or former employees. And a recurring theme is the need to raise their wages. Tom Reed: I am glad to say I voted for you and look forward to good things happening in Missouri socially and economically. My only question has always been, when is Missouri going to get their state employees out of 50th place in the area of pay. Missouri places its employees in last place it's time for this to change. Carole McBride: Mr. Governor. I voted for you as I was hopeful you would make changes. My son has been a Corrections Officer for 5 years and he is proud of what he does. As a mother, I look forward to a better quality of life for him. I pray you will lead the way. Calvin Lollar: Mr. Greitens, What are we going to do as far as pay goes for us employees. As you said we have a very important job that has an impact on the public safety. A job that most of us take very serious and serve the state, department, and public the best we can. However when we are one of the lowest paid departments in the United States, it is hard to keep morale up when some feel under appreciated. I look forward to the great things that you and your team will do for the great state of Missouri. 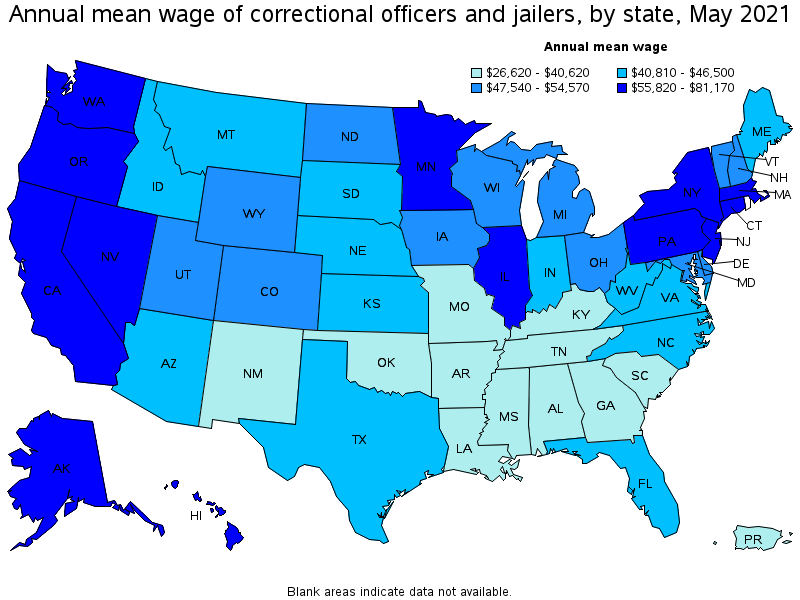 See a graphic on correction workers’ wages here. With Speaker Todd Richardson on the record supporting paid family leave for state employees, Sen. Jill Schupp has a pre-filed bill – SB69 – which would include more than just state workers. See it here. Under this act, all employees who are not independent contractors are eligible to receive up to six weeks of wage replacement benefits for any of the following reasons: For the purpose of bonding with a minor child within the first year of birth or placement in connection with foster care or adoption; For the purpose of caring for a family member with a serious health condition; For the purpose of tending to an employee's own serious health condition; or for the purpose of assuming any familial responsibility because a spouse, child, or parent of an employee is on, or has been notified of an impending call to active duty in the armed forces. The Missouri Earned Family and Medical Leave Fund is created. Employees are required to contribute .025% of his or her average weekly pay to the fund, provided that the total wages used to compute the contribution rate shall not exceed the contribution and benefit base used to calculate Social Security taxes. If, at the discretion of the Director of the Department of Labor and Industrial Relations, there is not a sufficient amount of funds in the fund to satisfy all claims, the director is permitted to reduce the benefit amount each employee will receive…. $180,596 in Neighborhood Assistance Program credits to Coyote Hill Christian Children’s Home in Senate 19 / House 47. $90,844 in Neighborhood Assistance Program credits to The Food Bank for Central & Northeast Missouri Inc in Senate 19 / House 45. $54,827 in Neighborhood Assistance Program credits to Livingston County Communtiy Development Cor. in Senate 21 / House 7. $41,253 in Neighborhood Assistance Program credits to St. Louis Area Foodbank Inc. in Senate 14 / House 70. $35,000 in Neighborhood Assistance Program credits to Fair Grove Senior Center in Senate 20 / House 137. $31,098 in Neighborhood Assistance Program credits to Child Advocacy Center in Senate 30 / House 132. $30,313 in Neighborhood Assistance Program credits to Saint Louis Fashion Fund in Senate 5 / House 78. $19,350 in Neighborhood Assistance Program credits to Boys & Girls Club of Springfield in Senate 30 / House 135. $11,492 in Neighborhood Assistance Program credits to St. Louis Crisis Nursery in Senate 24 / House 71. $3,250 in Neighborhood Assistance Program credits to Community Living Inc. in Senate 23 / House 104. $2,278 in Neighborhood Assistance Program credits to The Little Bit Foundation in Senate 5 / House 79. John Bardgett, Jacqueline Bardgett, Erika Leonard, John Parris, and Chris Roepe added Missouri Licensed Beverage Association, Missouri School Bus Contractors Association, and Kansas City 33 School District. John Bardgett added Everytown for Gun Safety Action Fund, and deleted Missourians for Compassionate Care. Jacqueline Bardgett added St. Louis Economic Development Partnership, Lathrop & Gage LLP; and deleted Missourians for Compassionate Care. John Parris and John Bardgett deleted Missouri AFL-CIO. Civic Progress Action Committee - $175,000 from Civic Progress Inc.
Midwest Region Laborers’ Political League Education Fund - $7,657 from Laborers Supplemental Dues Fund. Greitens for Missouri - $7,289 from GFI Digital RV. Happy birthdays to Sen. Dan Brown and Shannon Cooper. Saturday: Sen. Paul Wieland, and Rep. Lindell Shumake. Monday: Speaker Todd Richardson (the big 4-0), Rep. Tracy McCreery, former Rep. Stanley Cox, and Allison Onder. And I am off….. Tomorrow, the weekend, and Monday. See you all Tuesday. That means no Weekly Summary tomorrow, no Who Won the Week, no Weekly Poll. See you on the other side….